Cakes elude me, but sometimes nothing else will do. 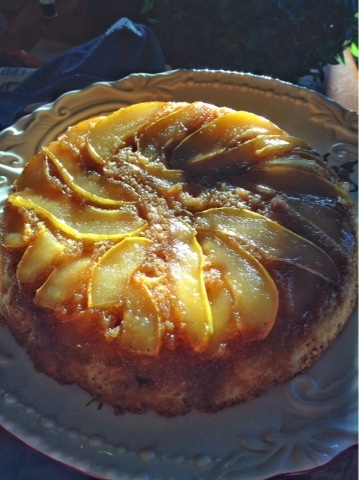 That's why I reach for the iron skillet when I have a craving and make an easy upside down cake. It's hard to mess them up and I love how pretty much any ripe fruit is fair game for topping. I used pears here. It can be a good way to salvage fruit that is getting close to being over-ripe. They may not look professional, unless you get fussy. (Or unless you really know what you're doing). But they always taste damn good.